Generate reports to help you verify whether DMSample predictive models accurately predict customer behavior. 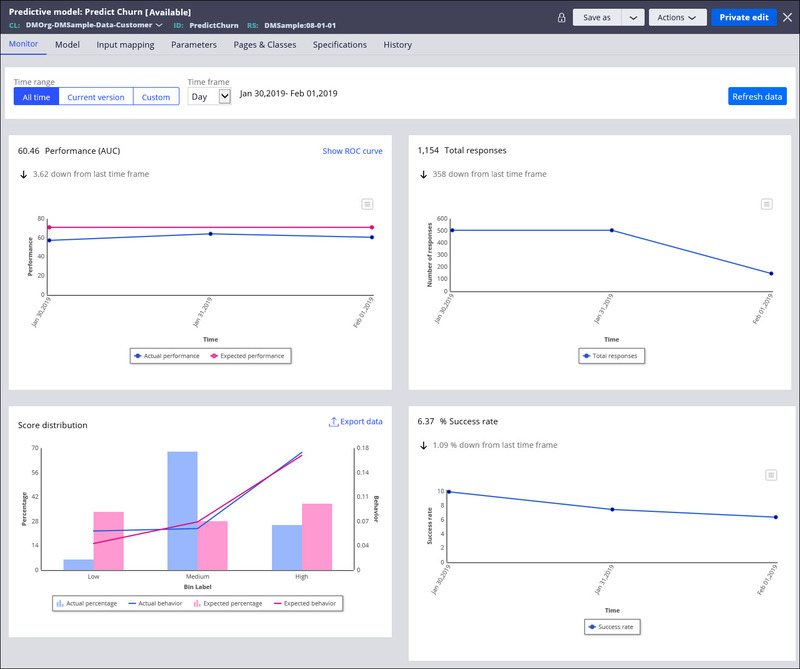 Sample reports are generated when you run the InitializePMMonitoring activity that simulates historical customer responses to model predictions. Generate DMSample data. See Initializing DMSample data. In Dev Studio, search for the InitializePMMonitoring activity. In the top-right corner of the activity rule form, click Actions > Run. In the Run Activity window, in the noOfDaysToSimulate field, provide the number of days for which to simulate responses to predictive models. The recommended number of days is 4. Depending on your system resources, you can increase this value. However, the reports might take a prolonged amount of time to generate. 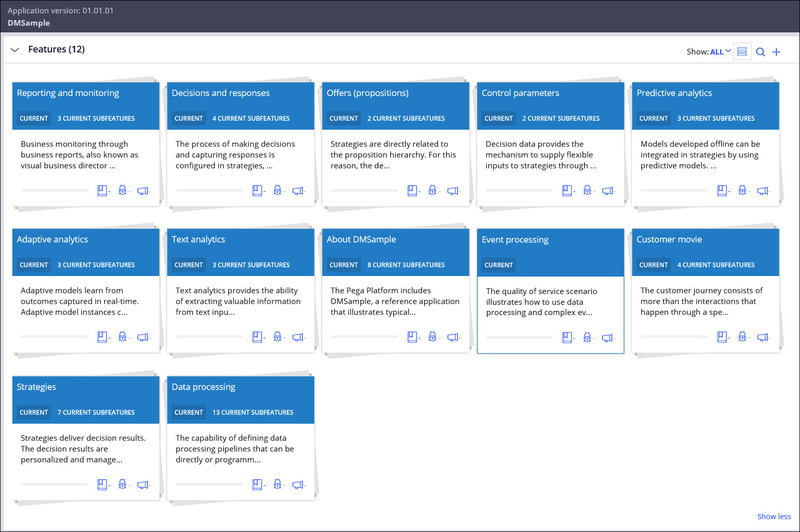 In the navigation panel, click Records > Decision > Predictive Model. Open any model from the list, for example, Predict Churn. If no data is displayed, click Refresh data. Review the performance and analytical reports that are associated with the model that you selected. You have fully configured DMSample and you are ready to discover the features of the Next-Best-Action standard on Pega Platform™. Learn about end-to-end scenarios and real-life decision management use cases in DMSample by clicking DMSample > Overview. Enable extending DMSample with new rules and new rule versions by adding an unlocked ruleset version. For more information, see Creating a ruleset and ruleset version.